1. Share information, communicate and exchange ideas with family, friends and public. 2. Market products and services. 4. Networking and connecting with others. 5. Perhaps most important is to share information to let this website be interactive. When you become a member you can be a part of the blog, forum, chat room and upload pictures and videos. First, please register. It's very easy and important just follow the directions. As a member you will get emails weekly about updates, you will be able to post pictures and videos finally participate in forums and blogs. If you sign up and don't see your name as a member on the member page immediately check your junk mail or spam for an authentication email from the website. Second setup your profile. 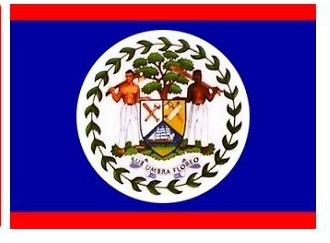 Let this be meaningful perhaps you can state the city or state where you live, if you are from Belize and your career. This website is an exchange some one may need to reach out to you or seek out your expertise. Invite others to join!!!! Only invite from the website don't forward email to invite others to join. Network with others on the site. Make new friends and reconnect with old friends. Post what is on your mind for discussion on the forum. This is our site it is to exchange and share ideas. Last but not least have fun!!! 4.) encouraging our Garifuna and Belizean youths to pursue higher education that is necessary to improve their lives and those of their fellow man." Notice: This website is available to the public as a public service. The owner(s) of this website does not accept any responsibility or endorse opinions, views or products that are posted on this website by other members of the community. Consumers are asked to use their judgment and do their own research before buying any product or subscribing to any view points that are posted on this website. We also reserve the right to remove a content or profile that we don't approve..